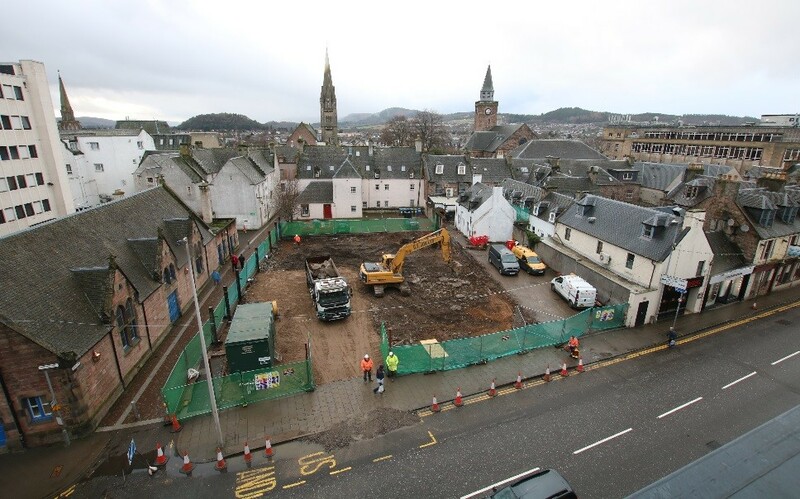 The Highland Council and Highland Housing Alliance have completed site clearance for a development of 37 affordable homes in Inverness city centre. Wyvern House at 79 Academy Street replaces a former supermarket and is named after the Wyvern car, in a nod to the sites earlier history as a vehicle garage. 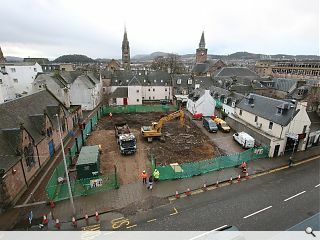 Councillor Trish Robertson said: “It is exciting to see the redevelopment of this prime city site move a step forward. The design and build contract is being delivered by Morrison Construction, who will begin construction in April.